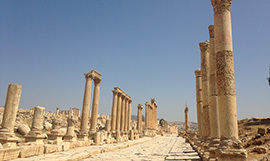 Enjoy a city tour in Amman while walking. 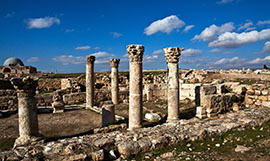 You will visit the citadel, and its Temple of Hercules that was built between 162 – 166 AD. 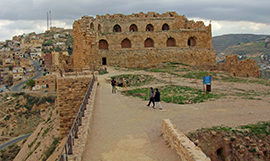 Then you will visit the Roman Theatre which is just a cou.. 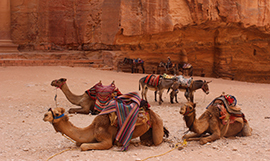 Since you are in Jordan you got to love the locals, so why not have dinner with a family? You will be cooked a local meal just they way it’s done in a million of homes around Jordan. Enjoy yo..
Yoghurt preparation the Bedouin way. You will get access to the way the local Bedouins prepare Yoghurt and of course get to taste some. They are all over Jordan and you would definitely love to know how they do it. So why not try it yourself? You will get to know the secret of the bottles (maybe you will find a geenie?) 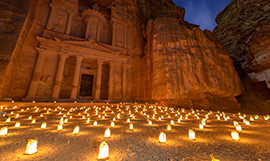 and you wil..
Every Monday, Wednesday, Thursday from 20:30 – 22:30, Petra turns into an ocean of candles. Enjoy this romantic spectacle as it is not just meant for couples. If you don’t want to get wet you can do a glass boat tour instead. 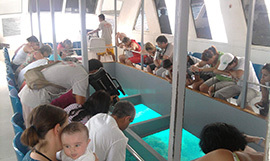 You will be able to see corals and fish as well as the one or other “treasure”. 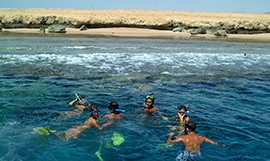 Enjoy the underwater world of the red sea where you can see some of the best preserved reefs since those reefs are under royal protection. Live the life of a Bedouin while milking a goat and enjoy the fresh milk afterwards. 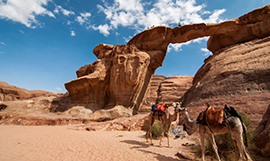 This experience is also recommended for lactose intolerant people since camel milk is usually well tolerated by ..
Live the life of a Bedouin while milking a goat and enjoy the fresh milk afterwards. This experience is not recommended for lactose intolerant people. 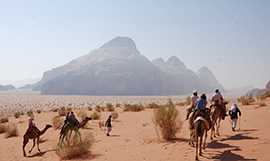 The best place in Jordan to have a look at the stars is Wadi Rum since it is desert pure and has no electric lights at night. 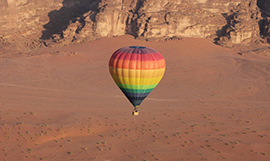 Enjoy a balloon ride over the spectacular area of Wadi Rum. T.E. Lawrence once described this area as vast, echoing and god like. This experience is depending on the weather conditions and starts a.. They are called the ships of the desert and truly, as soon as the camel gets up with you on its back, you feel like you are crossing the desert in a ship. 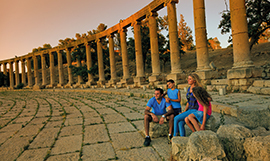 Don’t let this unique experience esc..
You will be picked up from Sheikh Hussein Bridge and transferred to Jerash one of the best preserved Greco-Roman cities in the middle east. Your tour ends in Amman. 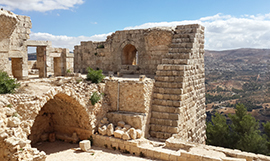 You will be picked up from Sheikh Hussein Bridge and transferred to Ajloun to visit Qalat Rabat, a castle built by Saladin in the 12th century. 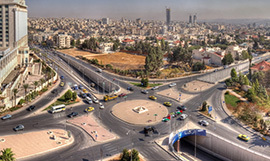 Proceed to Amman where your excursion ends. 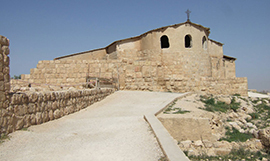 You will be picked up from Ramtha and transferred to Um Qais, Site of the famous miracle of the Gadarene swine. Continue to Pella, also known as Tabaqat Fahel, a Chalcolithic settlement from the 4t..
You will be picked up from Karak and transferred to the nature reserve Dana. Your excursion ends in Shobak. 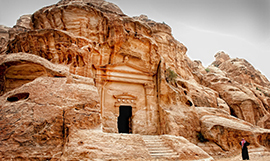 You will be picked up from Petra and transferred to Beidha, also known as the “Little Petra”. 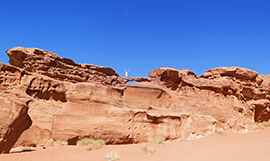 Proceed to Wadi Rum for a Jeep tour. Your excursion ends in Aqaba. 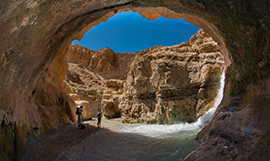 You will be picked up from Petra and transferred to the nature reserve Dana. Continue to the city of mosaics, Madaba. In the St. Georges Church you will see the oldest map of the holy land. Proceed..
You will be picked up from Petra and transferred to the city of mosaics, Madaba. 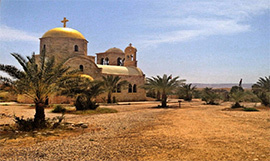 In the St. Georges Church you will see the oldest map of the holy land. Continue to Mt. Nebo, the place where you ca..
You will be picked up from Ma`in and transferred to Um Er Rasas, which contains ruins from the Roman, Byzantine, and early Muslim civilizations. 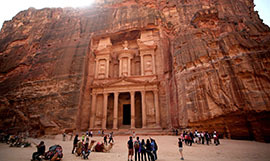 Your excursion ends in Petra. You will be picked up from Ma`in and transferred to Machaerus, where John the Baptist was imprisoned and beheaded. Proceed to Um Er Rasas, which contains ruins from the Roman, Byzantine, and early ..
You will be picked up from Ma`in and transferred to Mt. Nebo, the place where you can see the holy land exactly like Moses saw it. 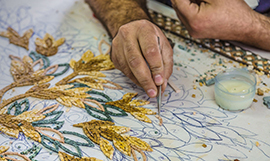 Afterwards you will proceed to the city of mosaics, Madaba. In the..
You will be picked up in Madaba, and transferred to Bethany, the place where Jesus was baptized and used to baptize. 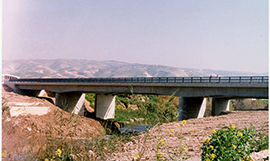 Your excursion ends at Sheikh Hussein Bridge. 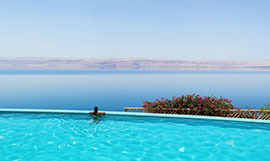 You will be picked up from your Hotel at the Dead Sea, and transferred to Ma `in where you will have plenty of time to enjoy the natural hot springs. 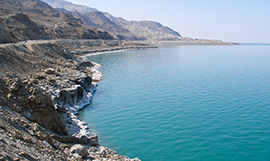 You excursion ends at the Dead Sea. 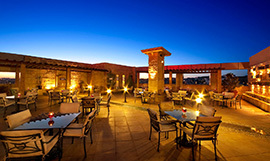 You will be picked up from your Hotel at the Dead Sea, and transferred to the Desert Castles. 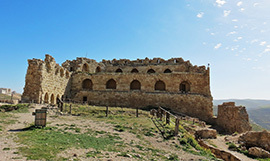 The castles were built between the 7th century and 8th century, under the caliphs of the Umayyad dynast..
You will be picked up from your Hotel at the Dead Sea, and transferred to Mt. Nebo, from where you will see the holy land exactly as Moses saw it. 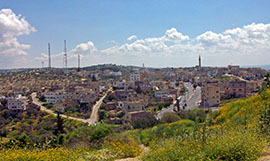 Then continue to the city of mosaics, Madaba. 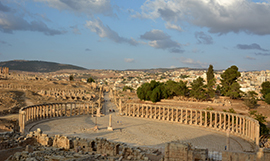 In t..
You will be picked up from your Hotel at the Dead Sea, and transferred to Jerash, one of the best preserved Greco-Roman cities in the middle east. Your tour ends in Amman. 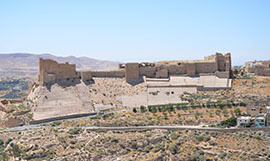 You will be picked up in Dana and transferred to Karak, the largest crusader castle in Jordan. 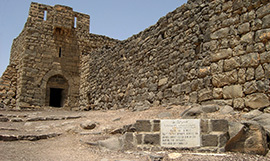 Proceed to Beidha, also referred to as Little Petra. 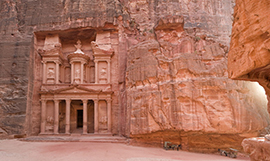 Your tour ends in Petra. 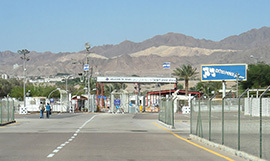 You will be picked up from Azraq and transferred to Mt. Nebo, the place where you can see the holy land exactly like Moses saw it. 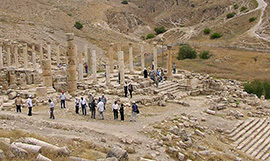 Afterwards you will proceed to the city of mosaics, Madaba. In the..
You will be picked up from the Allenby Bridge and transferred to Bethany, the place where Jesus was baptized and used to baptize. Your tour ends in Amman. 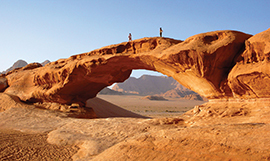 You will be picked up from the Araba Boarder and transferred to Aqaba for a city tour. Your tour ends in Petra. 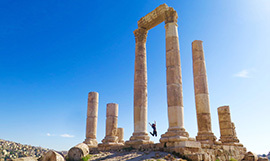 You will be picked up from your Hotel in Amman in the morning and start your tour in Iraq Al Amir which was built by a Persian prince in the 3rd century. 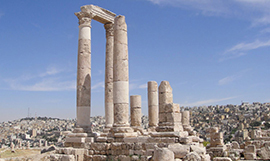 Afterwards you will visit Bethany, the plac..
You will be picked up from your Hotel in Amman in the morning and start your tour in Pella, also known as Tabaqat Fahel, a Chalcolithic settlement from the 4th millennium BC. Proceed to Um Qais, Si..
You will be picked up from your Hotel in Amman in the morning and begin your tour to the Desert Castles. 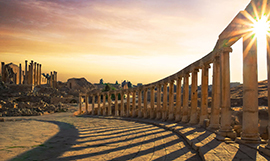 The castles were built between the 7th century and 8th century, under the caliphs of the Uma..
You will be picked up from your Hotel in Amman in the morning and start your tour in Jerash, one of the best preserved Greco-Roman cities in the middle east. 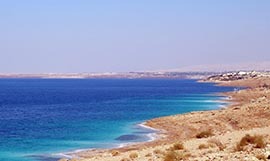 You will continue to the Dead Sea where..
You will be picked up from your Hotel in Amman in the morning and start your tour with the city of Mosaics, Madaba. In the St. Georges Church you will see the oldest map of the holy land. Then you ..
You will be picked up from your Hotel in Amman in the morning and start your tour in Iraq Al Amir which was built by a Persian prince in the 3rd century. 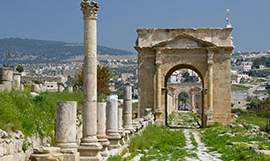 You will continue to Um Qais, Site of the f..
You will be picked up from your Hotel in Amman in the morning and start your tour in Jerash, one of the best preserved Greco-Roman cities in the middle east. 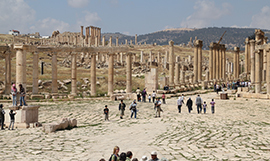 You will continue to Petra where your t..
You will be picked up from your Hotel in Amman in the morning and start your tour in Jerash, one of the best preserved Greco-Roman cities in the middle east. 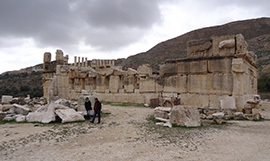 Then you will continue to Um Qais, Site..
You will be picked up from your Hotel in Amman in the morning and start your tour in Jerash, one of the best preserved Greco-Roman cities in the middle east. Then you will continue to Bethany, the ..